It’s about Tom Cruise as the last man on earth, sort of, the planet is ravaged and he his mission is to repair the drones that repel the alien presence. 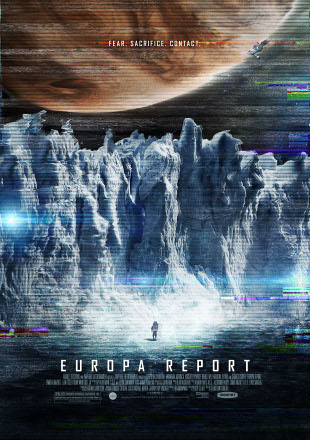 The good; I love the premise, it reminds me of all those post-apocalyptic movies before the eighties, the ones that immediately come to mind are; Planet of the Apes, Omega Man, 2001: A Space Odyssey, Silent Running and Damnation Alley. Then more recently Moon. The production design in creating the world is great. Everything is a variation of white, the equipment, living quarters, clothing… all white. But Tom Cruise plays tech Jack Harper who goes out in to the wasteland so his white uniform is grayish from all the dirt and grime. 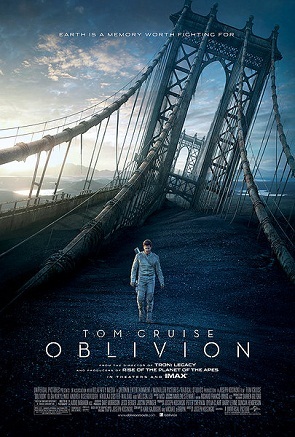 Oblivion is directed by Joseph Kosinski, who previously did Tron: Legacy. It’s nice that he got a second chance to direct a movie with a stronger story. This film really feels like a lover-letter to all those previously mentioned movie in the seventies. The bad; the film does drag in spots, but there’s something about Cruise, he can carry a movie, much like Mc Queen in Bullitt. So I was able to forgive the pacing in areas. The story is nothing new, there’s a lot of aspects of other movies and stories that we’ve seen here. I know I mentioned this above as something I liked, but it felt more like here’s this movie and then now here’s that movie, the melding needed work. *SEMI-SPOILER* There’s a twist/reveal at the end. Basically if you’re an uninformed movie goer (a Michael Bay fan *ahem) then you’d be gasping when this plot point reveals itself. I could see this twist coming a mile away, and again, it’s nothing new that we haven’t seen, so I guess I was just predisposed to expect it. When the revelation hits Harper I find that he buys in to it way too easily. Some might say that was already fighting mentally with what he was doing, so when the truth hit him, it was always something he knew but could never see or hear. At this point in the movie taking more time to explain the “truth” of what’s going on wouldn’t have been so bad, cause they did take their sweet time getting there. Just felt weird, why take your leisure and then when something important like this comes up we speed right through it? It’s basically told in exposition, which felt very lazy. Overall I enjoyed this movie more than I thought it would be. The visuals are great and Tom Cruise, luv him or hate him, he can certainly carry a movie. Viewing this movie made me want to watch all the other movies that I thought of, so I know that the filmmakers’ hearts are in the right place, cause they like some of the same movies I like. This entry was posted in Movies/TV, Reviews and tagged 2001: a space odyessy, moon, morgan freeman, movie review, oblivion, oblivion film, oblivion film review, oblivion movie, oblivion movie review, oblivion review, omega man, planet of the apes, sci-fi movie, silent running, tom cruise on April 24, 2013 by Eugene.